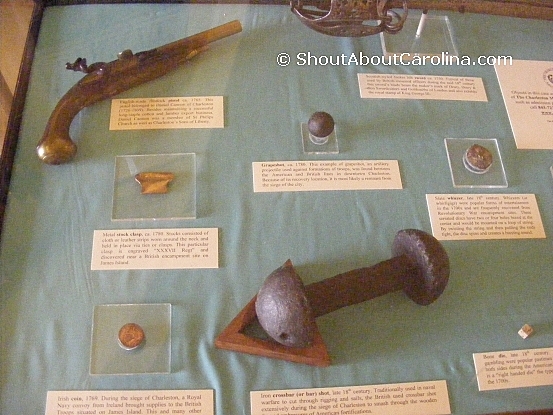 The Charles Towne Landing Visitors Center has an incredible exhibit showcasing the Carolina beginnings. 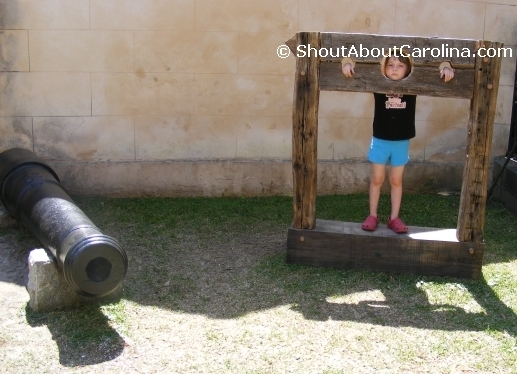 Step in the shoes of white English settlers, Native Americans, or African slaves and experience first hand how life was like in the late 17th century. •	How much money can you make if you were a woman? •	What skills were most sought after? •	What kind of crops and trade were the most lucrative? • How much land can you own as an indentured servant? 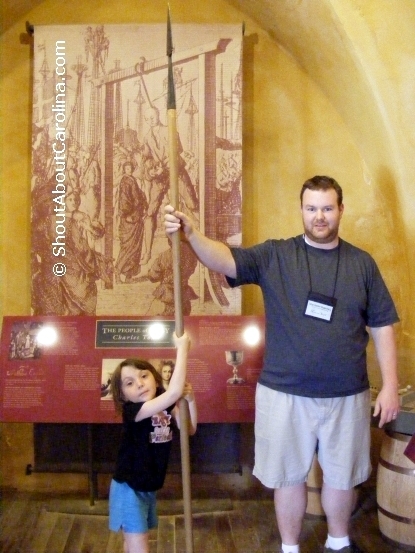 • What were the interactions between the settlers and the Native Americans? 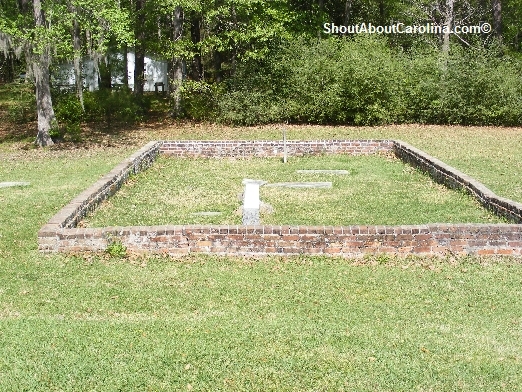 • What kind of wildlife roamed the Carolina Coast back then? 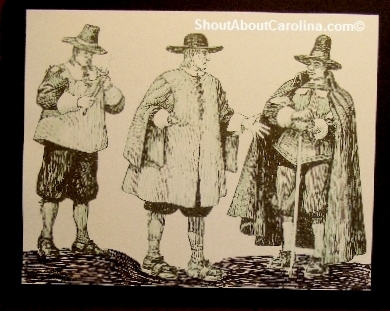 On March 15, 1670 The Carolina finally made it to shore. Here’s a look at how the Albermarle Point colony developed during its first 10 years. 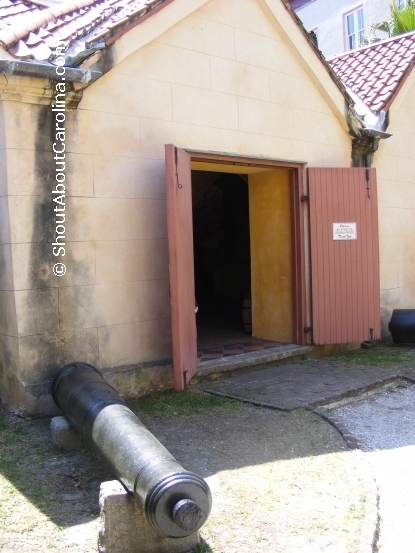 The white English settlers tried to replicate the Barbados style colonial plantations, were indentured servants, and especially African slaves, did the all the work: building houses, working the fields and harvesting the crops. They tried to grow tobacco, indigo, rice, sugar, olives, grapes, flax and cotton. 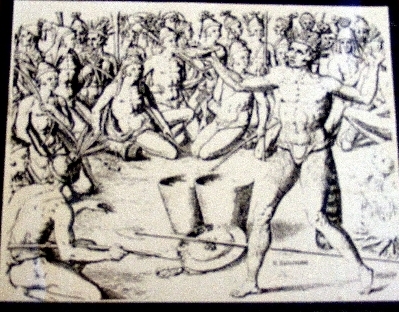 Slaves were brought in from Barbados to work on the new colony. Soon their contribution became indispensable, yet they lived under miserable and inhumane conditions, never allowed to own land or benefit from their hard work. Wildlife was abundant along the Carolina coast. However the very lucrative fur trade lead to ravage hunting and the agricultural expansion to massive deforestation, negatively impacting the fragile ecosystem. Many species declined and some went extinct. History is great, but what about the children? Relax, there is plenty of activities to enjoy throughout the park. 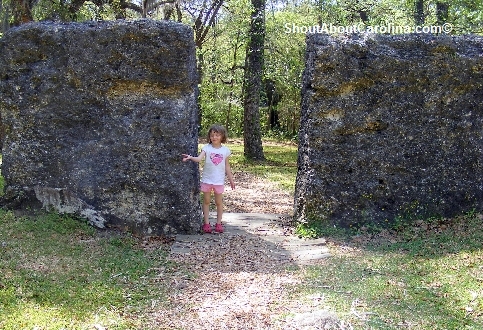 Here are just a few fun things kids can do inside Charles Towne Landing. History buffs rejoice! 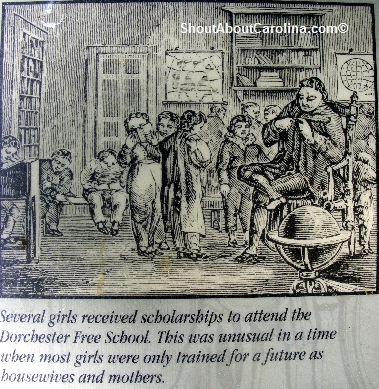 Visit Dorchester State Historic Park (only half an hour away, $2 admission) one of the most prolific archaeological sites on early colonial life. Most Saturdays you can observe archaeologists sifting through the remains of a town that included houses, markets, a school, a church, a boat yard and more. 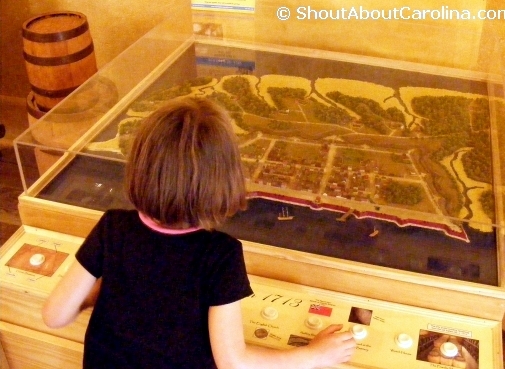 Be a proud Carolinian at the historic Charles Towne Landing! 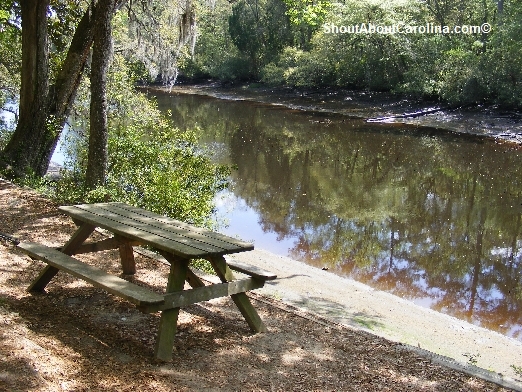 Charles Towne Landing: Quiet and relaxing family time. 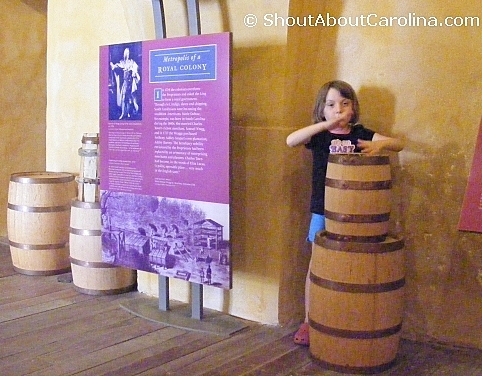 Learn about South Carolina and Charleston history. Bike or walk under serene live oak trees away from the city’s hustle and bustle yet just minutes from all the “civilization” amenities. Do nothing but smell the beautiful flowers and listen to the birds. Get excited spotting alligators around the ponds spread throughout the park or watching the bison, black bears and puma napping all day at the Animal Forest zoo. Maybe we can learn from them and give ourselves a well deserved break in the Charles Towne Landing incredible outdoors. And is only $5… That’s a venti double latte…C’mon what else can you ask for?! 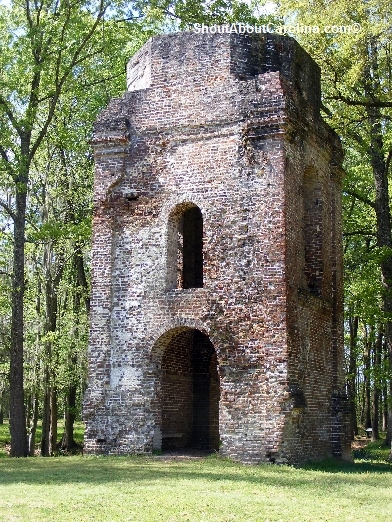 Read more about this hidden Charleston attraction here. Happy outdoor relaxation in Charleston South Carolina! 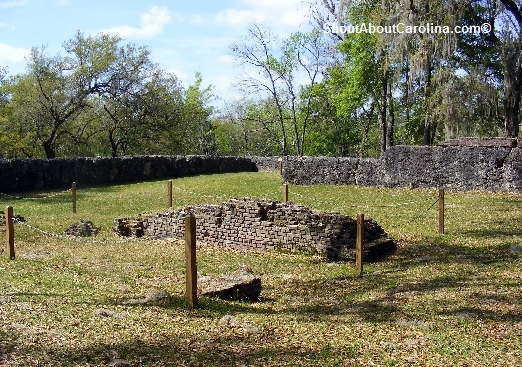 Come admire the natural-habitat zoo at the Charles Towne Landing state park’s Animal Forest showcasing native Carolina wildlife as it was more than 350 years ago. Among the highlights to enjoy at this historic Charleston attraction (our state first settlement) are the bison, puma, black bears, bobcats, otters and the yellow crowned night heron. Oh yeah, and the pompous wild turkeys which in Spring they gotta do their dance mating thing. Apparently no one told them the poor lone vulture is no threat competing for their cuties. Enjoy wildlife, experience history and relax among serene oak trees in beautiful Charles Towne Landing park the birthplace of South Carolina!